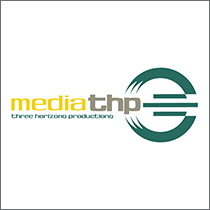 For 2016, the Arizona Technology Council has teamed up with AZTC Platinum Sponsor MediaTHP to launch a multimedia campaign promoting Arizona as the fastest growing technology hub in the United States. It’s been reported that Arizona is a best kept secret for innovation, entrepreneurial activity and technology… well, not anymore. It’s now time to tell the real Arizona story to the whole world! The first feature of our 2016 campaign is to open up the doors to our team and our members. It’s all about what the Arizona Technology Council can do for you, the community and how our members can all benefit from our products, services, and events. Click here to view our first video or click the embedded video below. This campaign couldn’t exist without MediaTHP, a Scottsdale-based media + film production company. In 2015, the MediaTHP team traveled throughout the state to capture footage of AZTC members, universities, and partners to capture the best and brightest technology companies, makers and innovators! Stay tuned for this new series of videos that will capture the energy of Arizona’s technology future – new videos will be released regularly through blogs, AZTC emails and the AZTC social channels. Be sure to follow all of our social media accounts (Facebook, Twitter + LinkedIn especially) and watch for new videos, as there will be contests and giveaways, as well! Whether your media project is simple or complex, long term or short, MediaTHP provides the resources you need to succeed. If you have a product to launch, an image to build, a vision to share, or a story to tell, MediaTHP to create multimedia that highlights your unique qualities. All upcoming videos are produced by MediaTHP (http://www.mediathp.com), an Arizona-based multimedia production company. Check out MediaTHP’s other videos at https://vimeo.com/channels/1006201 or https://www.youtube.com/user/aztechcouncil/playlists.